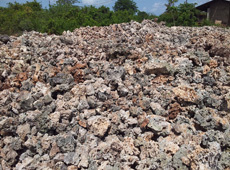 Sawana Provides crushed rock and Gravel which is required in the construction and building of Homes, Hospitals, Roads, Hotels, Shops and to a much larger industry. Our Quarrying plant in Tanzania contributes substantially to the local economy by providing jobs, where employment opportunities are limited. The company strives and ensures that the impact of quarrying operations are kept to a minimum and we involve the local community in every developing opportunity. We have the capability to supply our customers with any quantity according to their requirements and specification of high quality Crushed stone and aggregates on a continuous bases.